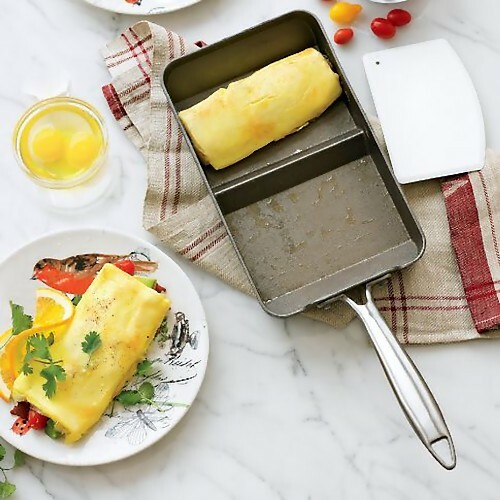 Collection of 'Creative and Smart Kitchen gadgets' from all over the world. 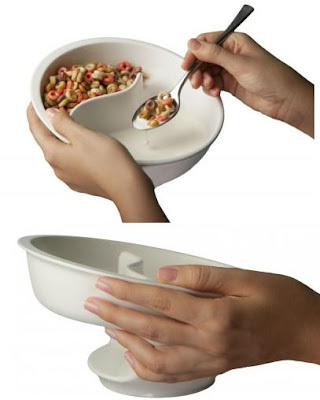 Obol - The Original Crispy Bowls: The Obol comes with a special spiral design that separates the cereal and milk. So your cereal is crispy and fresh till the breakfast is complete. 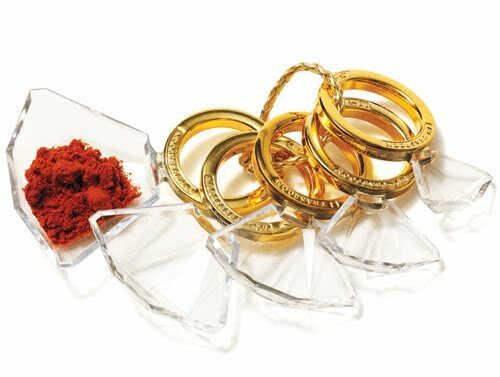 Sink Strainers: It's a sink strainer with interchangeable scented rings that keeps your kitchen smelling clean and fresh. 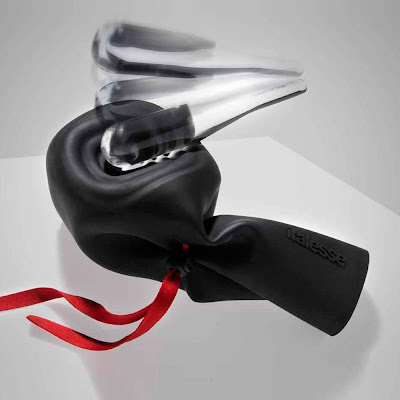 Glass Design by Kouichi Okamoto: It consists of a bulb shaped container with the glass below. 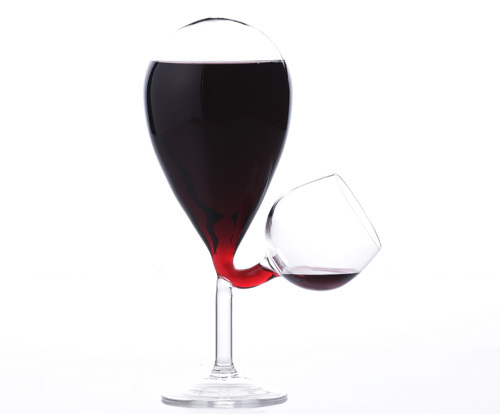 When the amount in the open glass decreases, a constant amount is poured from the container into the glass. The air pressure and water pressure prevents this glass from overflowing. 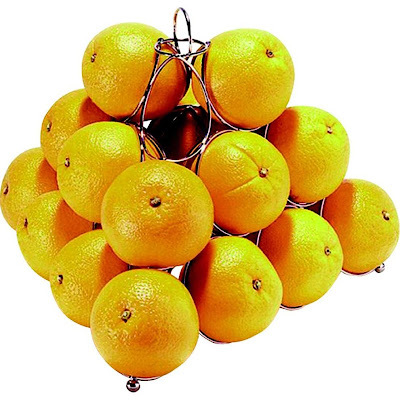 Fruit Holder: It's a modern fruit bowl that can hold 18 fruits. 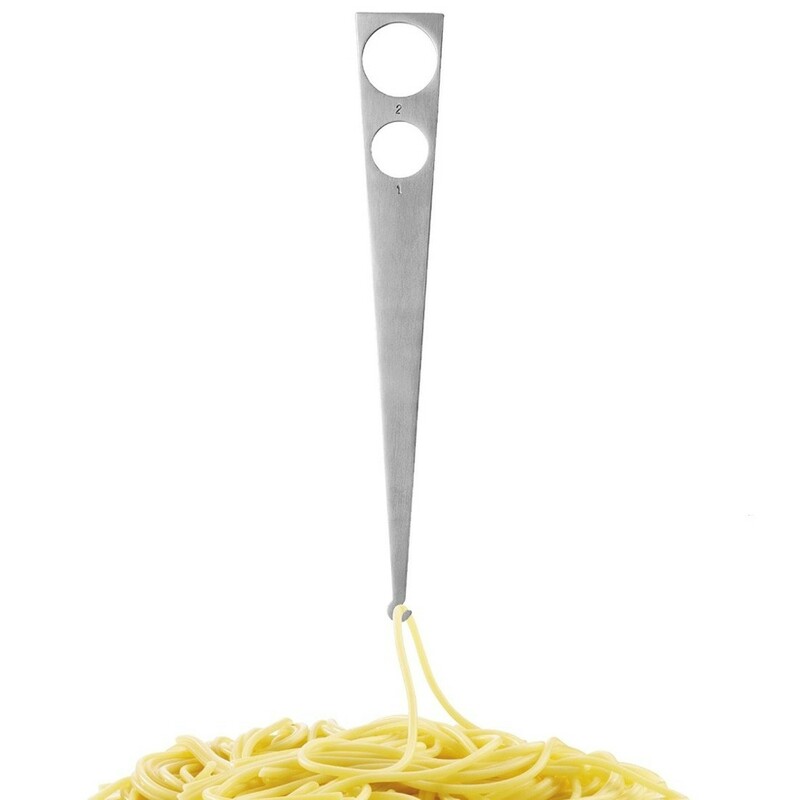 Spaghetti Sorter and Tester: Measure out 1 and 2 portions of spaghetti with a tester at the tip to check when it is 'al dente'. 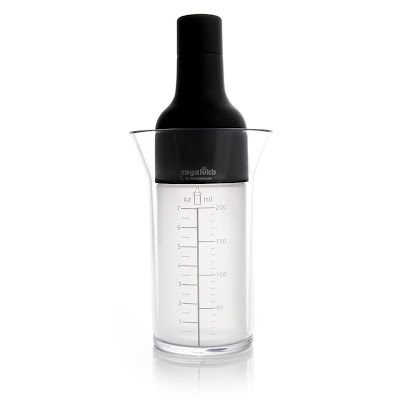 Measure and Shake: Designed by A Brekveld; its a squeeze bottle and measuring cup set for making salads and vinaigrette. Nordic Ware Pan: It's a specially designed pan that's divided in the center to guide you to fill, and the spatula assists you to roll and move it on to the plate. Diamond Ring Measures: It's a set of five measures in the shape of diamond rings. 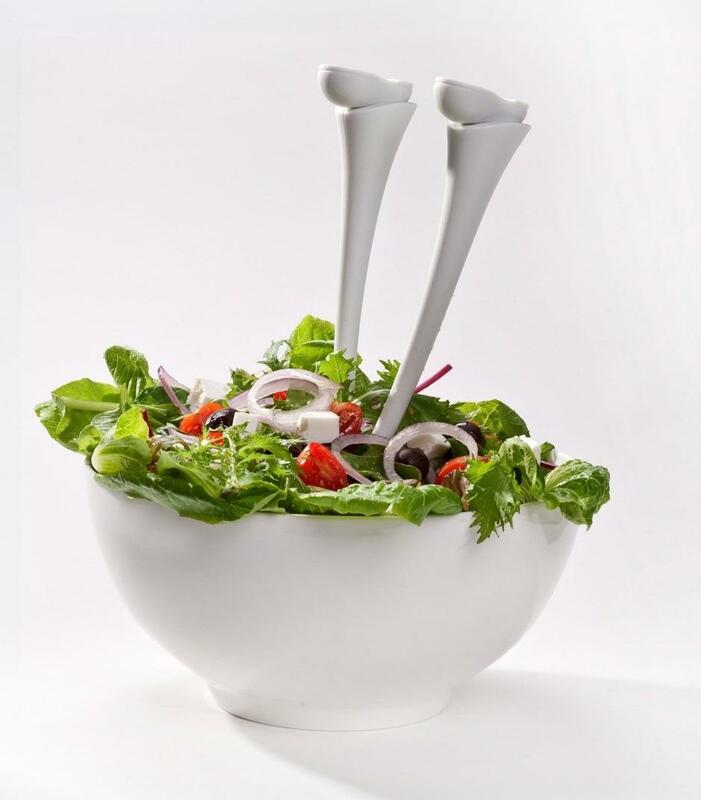 Salad Servers: "Stand them upright or stick them head first into your salad - both options are guaranteed to bring smiles to your dinner table." 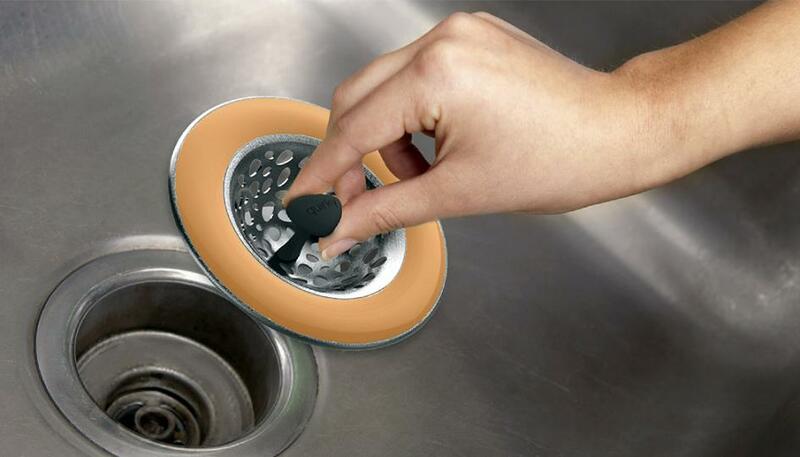 Chobs Board: You can use both sides of this board, leaving you less to wash up. Clongs: Open and lock your tongs easily with one hand using the clever click-lock button mechanism. 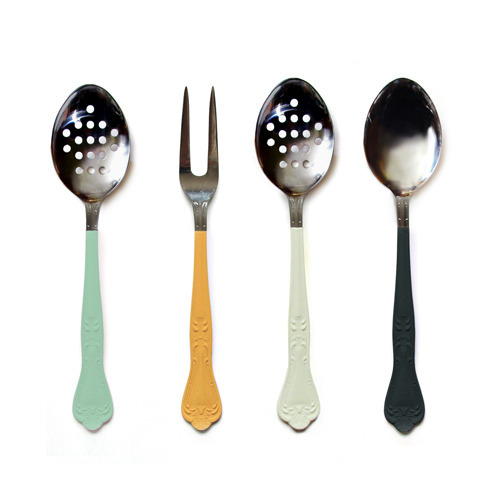 Superior Servers: The superior servers is a series of stainless steel utensils with color-coated handles inspired by the dipped ends of hand tools. Butterfly Can Openers: These colorful can openers designed by Marianne Britt Jorgensen and Rikke Hagen sets a new standard with its fresh design. 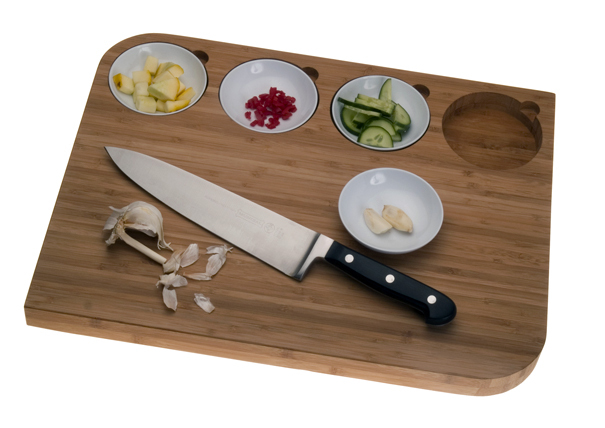 Bowlboard: Bowlboard makes food preparation more organized with its four small bowls placed in the board. 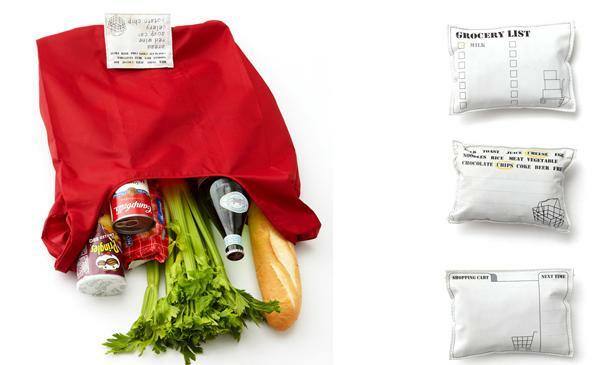 Shopping List Bag: It's a bag that has a shopping list attached to it. 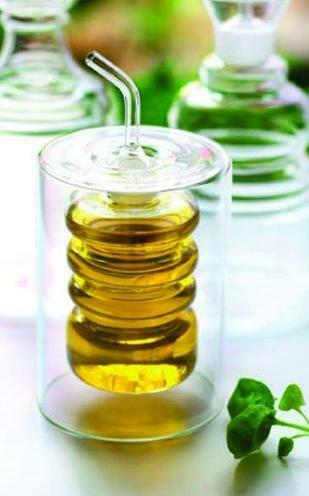 Double-Walled Oil/Vinegar Carafes: These are double walled oil and vinegar pourers that give the liquid a cool floating effect. Flip'n Good Measures: Four measures in one, the unique design makes them stay together but don't get in the way. Icebag: Just fill in the bag with the cubes, pull the string to close the bag completely and start breaking. 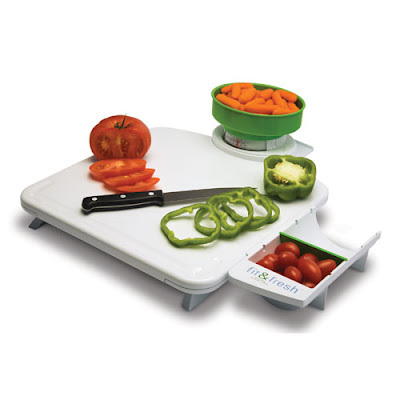 Smart Portion Prep Center: The smart portion prep center makes food preparation more organized. 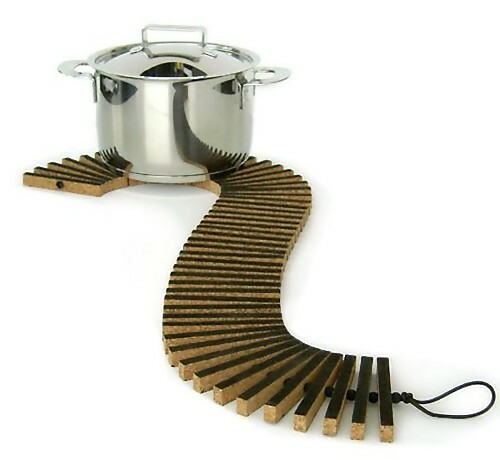 Don't miss to check out "Creative and Smart Kitchen gadgets - Part: 1| 2| 3| 4| 5| 6| 7| 8| 9| 10." 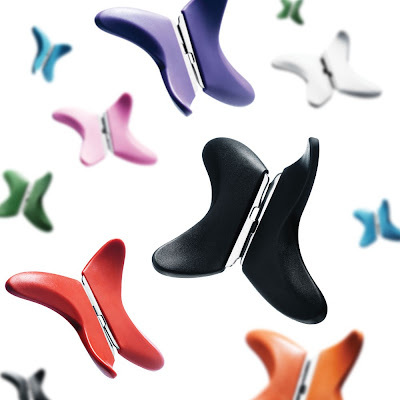 15 Creative Chairs and Modern Chair Designs - Part 3. 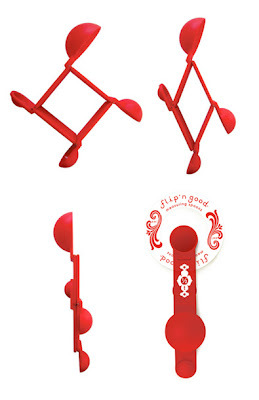 20 Unusual Cookie Cutters and Creative Cookie Cutter Design.